Harvy Simkovits signing "Just Lassen to Me!" at BBF (Oct 13) & ATD (Sept 15) | Just Lassen to Me! 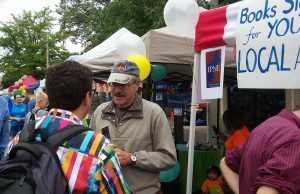 Come join Harvy at a book signing at the IPNE booth at the Boston Book Festival on October 13 in Copley Square. Harvy was also present at Arlington Town Day on September 15.